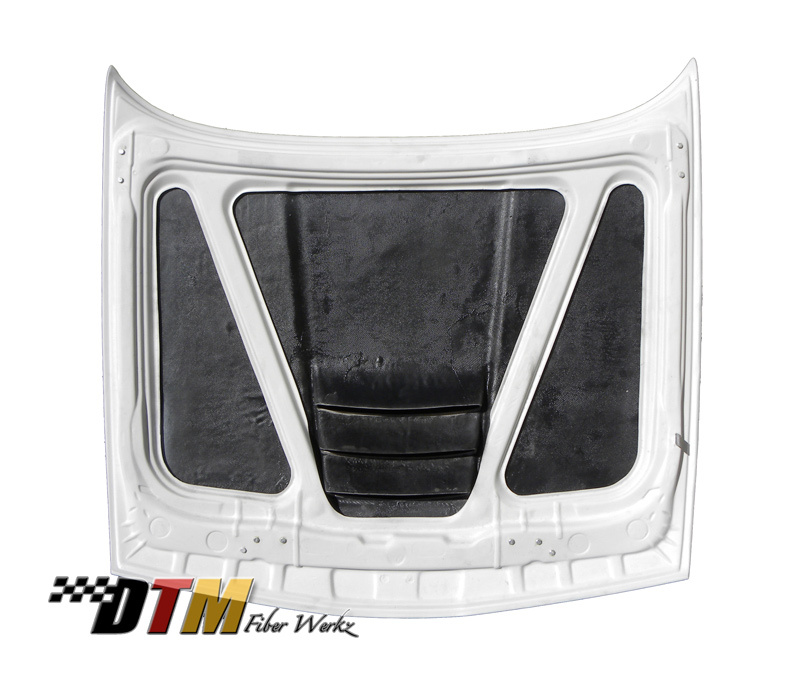 This FRP hood for BMW E30 evokes the styling of the classic M1 proto-supercar. 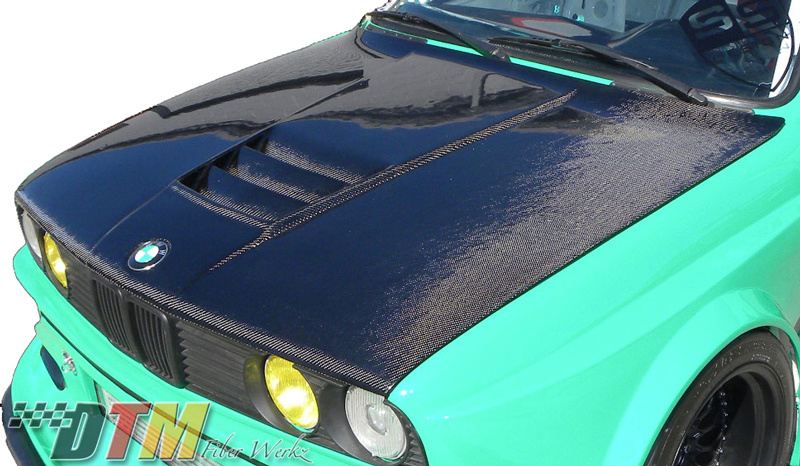 Complete with hood vents, this M1 style hood adds a dose of supercar styling to your E30. Produced in Fiberglass Reinforced Plastic (FRP) for superior strength and durability compared to fiberglass components, this hood comes unpainted and finished in a white gelcoat. This hood is also available in optional full Carbon Fiber Reinforced Plastic (CFRP) [+$300]. Get your E30 Carbon Fiber Hood at ModBargains. Modification Experts ready to assist. 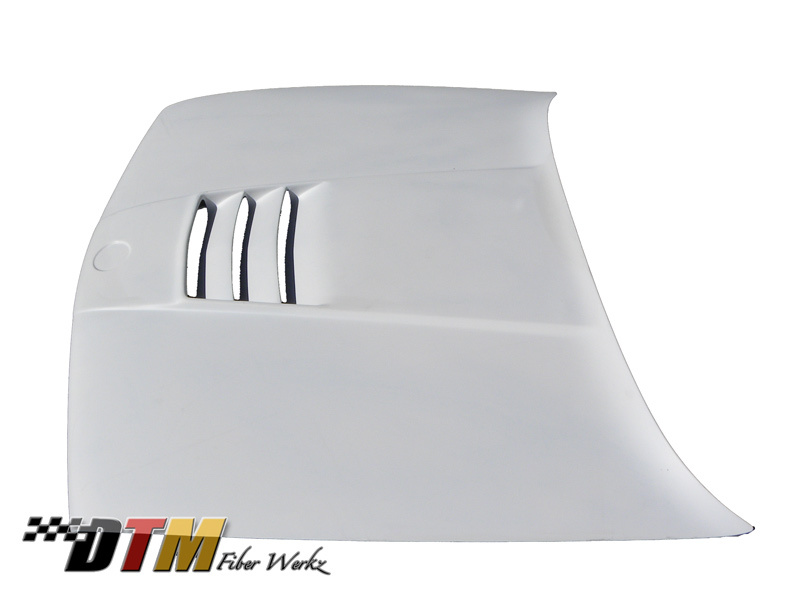 This FRP hood for BMW E30 evokes the styling of the classic M1 proto-supercar. 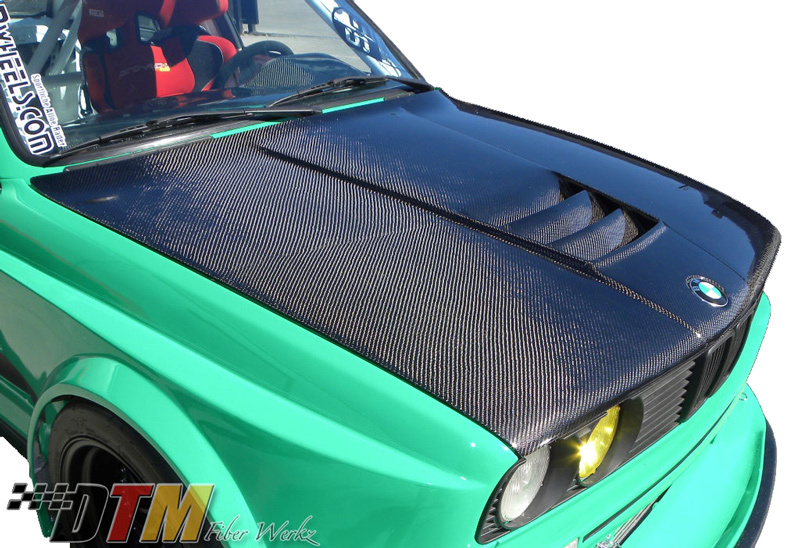 Complete with hood vents, this M1 style hood adds a dose of supercar styling to your E30. 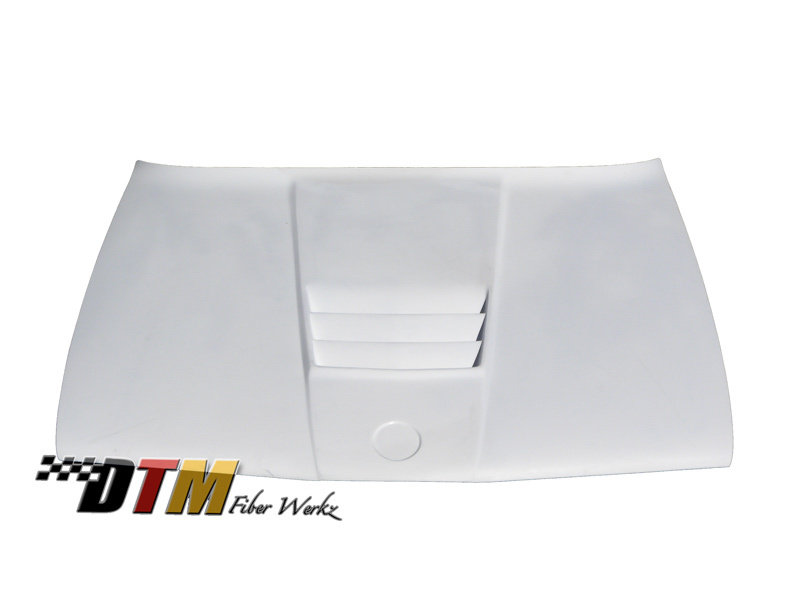 Produced in Fiberglass Reinforced Plastic (FRP) for superior strength and durability compared to fiberglass components, this hood comes unpainted and finished in a white gelcoat. This hood is also available in optional full Carbon Fiber Reinforced Plastic (CFRP) [+$300]. Vehicles shown may include moldings, grilles or an addition to the DTM Autowerkz piece. Parts such as lights, splitters, canards, paint, grilles and other accessories are not included unless specified. Questions about this E30 M1 Vented Hood? Our Modification Experts are standing by and available to help you, online or by calling 714-582-3330. ModBargains also offers expert installation and can install this upgrade for you. Call today!